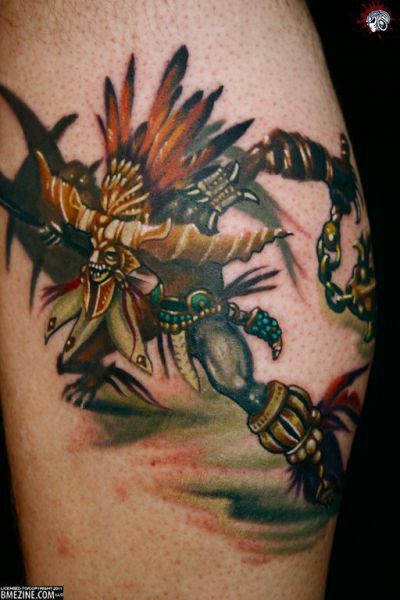 We’ve seen some cool Diablo tattoos in the past, but this new one of the Witch Doctor, modeled exactly from this piece of concept art, is an impressive example. Thanks to fu_kear for the tip, who spotted it on BME Zine. Here’s a quote from the post there. You know someone is a fan of video games when they get a tattoo of a video game character from a game that isn’t even released yet. Diablo 3 is sure to be a big hit, and this tattoo of the witch doctor by Roger from Star City Tattoo in Roanoke, VA shows us just how excited Diablo fans are for the new game. So how about it, guys and girls? Do you have any tats? 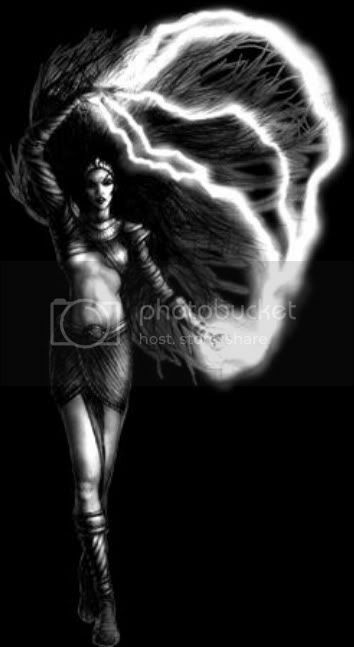 Would you consider adding one (or getting your first) of an image from Diablo III? 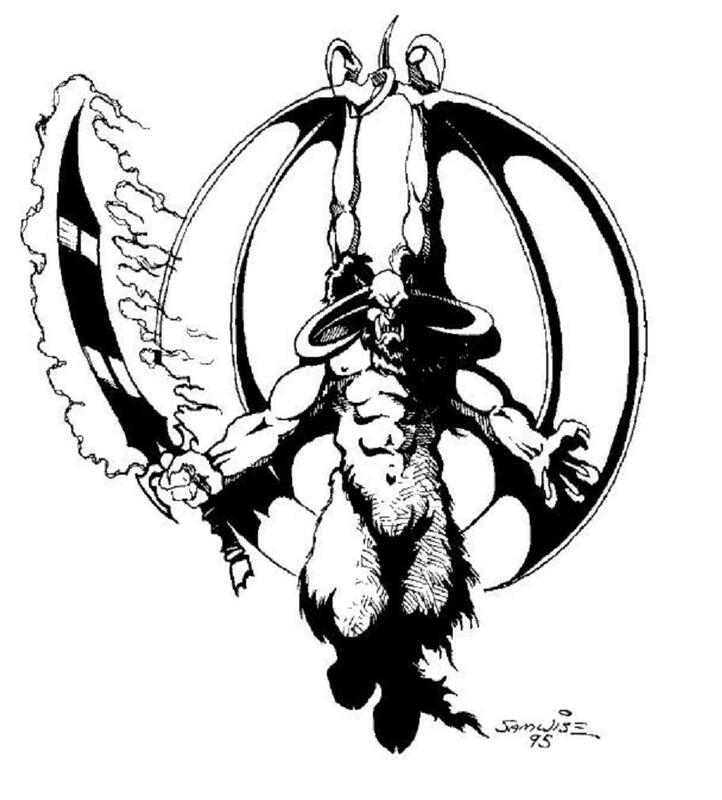 Stillman’s Slab #46: Demon Hunters! No Undead Hunting Allowed! I’m not a tattoo guy, but hot damn did they do a good job on that. The soft colors and then the hard line art makes for a hell of an image. Awesome. If I ever get a tattoo, I’m going to that guy. I’m surprised how good that looks, especially since most game-related tattoos look horrible. That tattoo artist did a very fine job indeed, it looks almost identical to the source and retains a lot of detail. I was thinking about it for a while now. The problem with the tattoos is that they are kinda permanent. Will I like this design twenty years from now? But if anything it will be something small – like D3 logo. Tats not worth it, they fade and blur with age. Wouldn’t get one unless it was extremely meaningful somehow and in a suitable location. Article about tattoo age which doesn’t really show a good example. What is he/she gonna do 20 years from now when that tattoo looks like an 8-bit game character compared to whats out?? I have a tattoo from Warcraft, the original game. It’s 15 years old now, would you like to see? So I got this one 17 years ago, 1994 I think. This design was featured in the manual but I added a pentagram to show my hatred tords religion. Couldn’t find the original artwork on the web but If someone got a link for it, it would be cool to see again. mm hard to locate older warcraft art, gets drowned out by WoW. From a few brief google searches anyway. Edit: just checked my wc2 manual. It the creatures of the land pic of the daemon, drawn by samwise. You used a pentagram, which is a religious symbol…to show your hatred towards religion? At the time I consider myself as an atheist and at the same time interested in black metal and satanism. But I grew out of my teens and now I’m an agnostic. i.e Very much not religious and dislike every aspect of it. So! Great to see that deamon again, 1995 was the correct year for my tattoo. 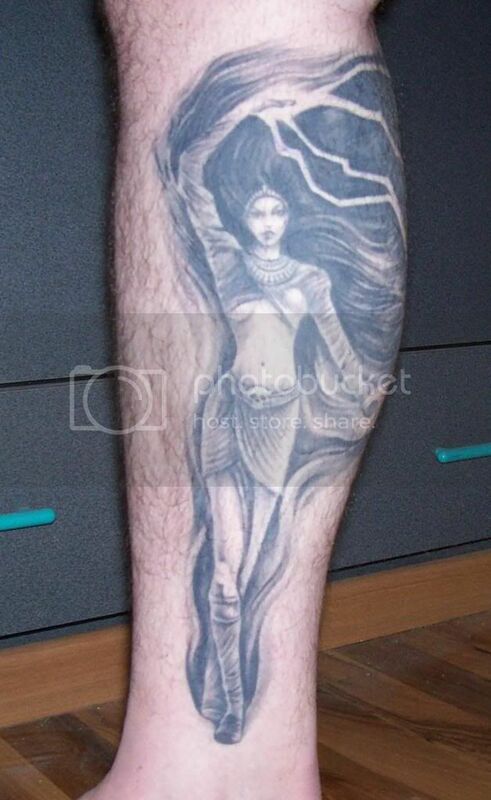 I’ve got the D2 witch tattooed on my leg, and don’t regret it one bit! That’s some great dedication and some great work :).